As a Senior Log Analyst, you will acquire and evaluate the primary well data for subsurface reservoirs, including but not limited to perform consistent petrophysical interpretations and Petrophysical Support/Log Analysis/Log Quality Control for Wireline/LWD Operations and develop strong professional relationships with current and potential clients. Qualified candidate will have a relevant degree in Geology; preferably in Master with minimum 5 years of experience in petrophysical interpretation. Having knowledge in Wireline Logging/ LWD. Understanding of fluid properties and dynamics, fractures and faults systems, clastic and carbonate sedimentology and diagnosis, risk and uncertainty analysis and volumetric estimates. Experience performing a detailed petrophysical analysis and writing reports are considered a pie-requisite. To be successful in this role, preference will be given to candidates demonstrating significant technical excellence and strong interpersonal skills, project management skills with good presentation and communication skills. Willing to travel/relocate and ability to work in a fully-integrated team and also independently at any of our operational bases. To apply, send your CV and cover letter (not exceeding 500KB) before May 31 2011 to Recruitment.Indonesia@halliburton.com. Only short listed candidates will be notified. 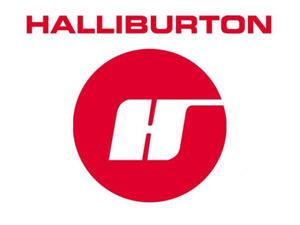 Halliburton: Worlds of Opportunity for you!